We are very sensitive to your timing and job schedules so please allow a sufficient amount of time between the delivery of your order and the scheduling of any jobs (5–7 business days) as there may be unforeseen delays such as weather, equipment issues, carrier problems, etc. *If there is anything you need to change on your order PRIOR to shipping please let us know as soon as possible. NOTE: Once the order has shipped, it is very hard to change any information without a delay and additional fees. ​There is NO guaranteed date or time on any delivery. A guaranteed delivery date can be requested for an additional fee as long as there is no delivery appointment required nor if a pup truck/box truck is requested but there is NO guaranteed delivery time on any delivery. TAP® Pest Control Insulation (full truck or trailer): Custom Ordered, Please call (770) 766-6050 Ext. 1 for details. 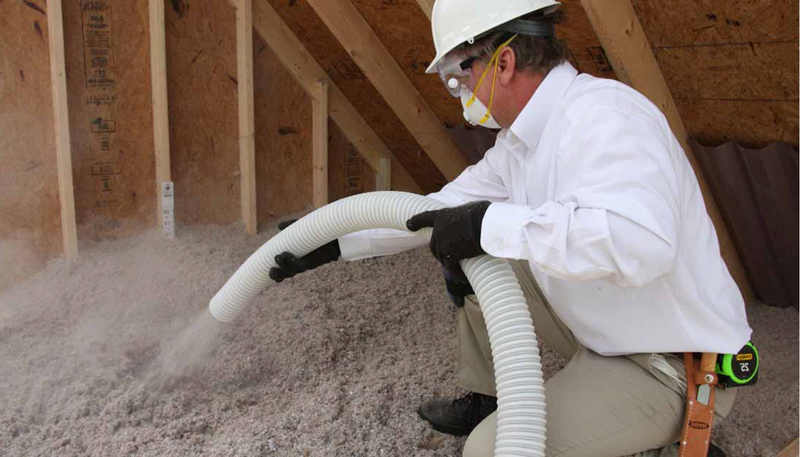 ComfortTherm® Crawlspace Insulation (up to 8 pallets): 3 to 5 business days. ComfortTherm® Crawlspace Insulation (half or full truck, trailer): Custom Ordered, Please call (770) 766-6050 Ext. 1 for details. Supplies are shipped separately using UPS Ground Service: approximately 2 to 7 business days. Estimated transit times are based on business days and are NOT guaranteed. Liftgate service, prior delivery appointments, inside delivery, holidays, and inclement weather may delay shipment. Guaranteed delivery dates can be requested for an additional fee. NOTE: Orders received after 5 PM ET will be processed on the following business day. When ordering after 5 PM ET on Friday, please understand that our staff will not receive your order until Monday when Monday is not a national holiday. Thank you for your patience. We use nationwide carriers, not our own trucks for deliveries. When we receive an order, we dispatch/request the carrier to pick the order up the next day, but this is NOT guaranteed as certain factors play into this. The freight may not be ready for shipment, the carrier’s truck may be full upon arrival and cannot take any more freight for the day, weather can cause delays, etc. Legally, the carrier has up to 48 hours to pick up/ship an order unless the order is set for a Guaranteed Delivery Date for an extra fee. There are no refunds, credits, or discounts given on freight for carriers that do not pick up the next day as requested. If you need to have your order by a certain date, please let us know when placing the order. The carrier will be a 48′ or 53′ tractor trailer with swing doors. You must be able to retrieve your pallets from the trailer’s interior and unload the pallets with equipment or personnel you have on site. Please have plenty of able bodies available to help unload. The driver will not be able to help move, assist, push, and /or load anything off or off the truck. . You may want to rent a forklift and pallet jack to assist (Lift gates or pallet jacks are not available on trucks for orders over eight (8) pallets). You will have the time allotted below to get the truck unloaded and on its way. NOTE: We will be happy to hire labor to unload the truck for you for an additional fee. Please call (770) 766-6050 Ext. 1 for details and pricing. If a lift gate was requested on delivery of 8 pallets or less – it is your responsibility to get the freight into your storage area from the truck using the carrier’s pallet jack or manpower you have on site. The driver will bring the pallets to the ground with the lift gate, however, the Driver is NOT responsible for moving any pallets or bags to your storage area. *Carrier will backcharge Inside Delivery Fees if you request the driver to help move or unload your freight up to $175 per Hour. We will be happy to contract labor to unload the truck for an additional fee by calling (770) 766-6050 Ext. 1. Deny delivery and have the carrier redeliver on a truck with a lift gate and pallet jack on a different day set by the carrier. NOTE: The carrier will back charge Inside Delivery Fees of up to $600 if you request the driver to help assist, move, push or unload your pallets into your storage area. Carrier will charge detention fees if these time limits are exceeded up to $150 per hour. The driver is NOT responsible to move, assist, push, or unload anything into your storage area and will back charge inside delivery fees up to $600 (exact amount is set by the carrier). Unless you requested Inside Delivery prior to delivery, DO NOT sign the delivery slip if you see Inside Delivery checked, circled, or written on it. If you requested a liftgate and pallet jack, the driver will bring the pallets to the ground using the liftgate and hand over the pallet jack for you to move the pallets into your storage area. The driver is not responsible for moving your pallets into your storage area unless Inside Delivery was requested. If you want the driver to put the pallets inside your storage area for you, please request Inside Delivery when you place your order. The fee will be significantly lower if requested before shipping compared to the fee if requested and/or performed when the driver arrives. Please call us at (770) 766-6050 Ext. 1 (Vicki) or Ext. 2 (Melissa) if you have any questions or would like to add Inside Delivery to your order prior to shipping. National carriers may consider your delivery address a “Residential” location even if you are a Company. Residential addresses are determined by the carrier and may use USPS, an overhead satellite view of the area, or zoning to determine this. If your address is considered a “Residential” location, the carrier will deliver your products curbside at the end of the driveway. It is up to the individual carrier as to whether they will drive on your driveway. Carrier will backcharge Inside Delivery Fees if you request the driver to help move or unload your pallets into your storage area up to $600 per hour. Also, with any residential area or gated community, if the carrier feels that there is not enough room to maneuver a 48′ or 53′ semi tractor trailer, they will not deliver to the “Residential” address at all. Please be prepared to move the products from the end of the driveway to your storage area with your equipment/personnel you have on site. *If you ordered a truck with a lift gate and pallet jack, you may use their pallet jack to move your product from the curb to your storage area. During the Winter months, natural disasters, or other uncontrollable events, shipping can be interrupted at anytime with little warning. Pest Control Insulation closely monitors warnings & weather occurrences for these potential delays. Deliveries will NOT be guaranteed if there are any weather warnings or alerts in your area. NOTE: Shipments delayed due to storms or natural disasters are not eligible for a refund/credit. Carriers will resume normal operations as soon as conditions allow. If you need to track your delivery, please call (770) 766-6050 Ext. 1 (Vicki) or Ext. 2 (Melissa). Orders of Insulation must be made in quantities of 36 as the pallets are pre-made & shrink-wrapped at 36 bags per pallet. You may pick up your order at one of our plants across the US. Please place your order 24 hours in advance so we can have your order on the dock for loading. The plant may request ID from the person pickup up the order (Business Card with your Company Name on it, Drivers License, etc). If you need the address or telephone number to the TAP® Plant, please call us at 770.766.6050, Ext. 1 (Vicki) or Ext. 2 (Melissa). Please bring an appropriate sized truck or trailer that will accommodate your order. Your truck or trailer will be loaded from a standard size loading dock. The dock worker will use a forklift to load the pallets. The dock worker will NOT breakdown the pallets and load loose bags onto your truck or trailer for you. This will be your responsibility so please bring able-bodied individuals to load the bags onto your vehicle. Drivers must follow all plant safety rules. Signs are posted on and around the dock. Vehicle, trailer, storage container, and/or other equipment you bring to load product must be in safe condition to be loaded. It is the customer’s responsibility for the safety of your load. Before leaving the dock, ensure your load is safe and secure with tarps, straps or tie downs. Once you leave the dock, the merchandise and the safety of your load becomes your responsibility. It is NOT advisable to pick up Insulation in a pickup truck as the plant will not load the whole pallet into the back of your truck unless it is dock high. If the pallet must be broken down into loose bags for transit, the dock worker will NOT breakdown the pallets or load the loose bags onto your truck or trailer, this will be your responsibility. *Please bring able-bodied individuals to help you (see above). Write “Damaged Bags” on the delivery receipt and initial before the driver leaves. Phone us as soon as possible at (770) 766-6050 Ext. 1 for Vicki or Ext. 2 for Melissa to report the issue. Take photos and e-mail them to shipping@TAPinsulation.com. Save all delivery receipts and take any necessary notes. NOTE: For drop trailers only – Leave any damaged bags on the trailer for credit. We do NOT refund or give credit for any unused insulation bags except for damaged product. Driver assist — Up to $100/hr. Nationwide carriers will charge additional fees for: refused shipments, re-delivery, unloading delays, and any other additional charges related to improper special service choices when placing the order which will be back-charged to you and prior authorization might be required before re-delivery per the carrier. Note: Carriers are now charging $250 for cancelling truckload drop trailer deliveries less than 48 hours before delivery (48 hours does not include weekends or holidays). If you need to cancel a truckload or drop trailer, please call us well in advance to avoid being charged additional fees. Standard shipping is via UPS Ground Service. Our goal is to ship your order on the same day when possible. We ship Monday through Friday. Orders received by 1:00 PM ET usually ship the same day. Orders received after 1:00 PM ET, on weekends or on national holidays will ship the next business day. UPS will NOT deliver to PO or APO boxes. UPS does NOT deliver on weekends or on national holidays. Arrival time may vary based on your location, please see Transit Map below. Packages being sent to business addresses should arrive before 5:00 PM. For faster delivery service, we also offer UPS Next Day Air, 2 Day Air and 3 Day Select in which additional charges will apply. Not all shipping methods are available in all areas. We will contact you if you have chosen a method not available for your destination. Weekends and holidays are not transit days. Note: TAP® Pest Control Insulation is not responsible for undelivered packages. If UPS has attempted delivery three times according to their policies and they are unable to deliver to the shipping address given, UPS will automatically redirect the package back to the TAP® Pest Control Insulation warehouse. The customer will be responsible for all shipping charges incurred during this process. Please contact TAP® Pest Control Insulation at 770-766-6050 if you have any questions regarding our shipping or return policies prior to ordering. The map below shows estimated UPS Ground delivery times. All delivery times shown are estimates, as UPS does not guarantee delivery time on ground shipping. Please keep this in mind if time is critical. Days-in-transit begins on the first business day after an order is shipped. All transit days are business days (Monday thru Friday, excluding holidays). We offer international shipping. quotes as well and will be provided on a case-by-case basis. Please contact us for more information at (770) 766-6050.